Discover the best in lodging at this Rancho Cucamonga hotel -- offering complimentary breakfast, parking and shuttle. The highest building with Mountain View that is really energetic in the day time and very romantic at night. The Best Western Plus Heritage Inn Rancho Cucamonga/Ontario is centrally located right in the heart of Rancho Cucamonga. Enjoy your vacation or business to this area; home to historic Route 66, wine tasting, artistic tours, historic tours, golfing, upscale dining at fancy restaurants and shopping at famous fashion designer retailers and over hundreds of miles of outdoor sports activities. NASCAR races at the Auto Club Speedway (five miles away) is another thrilling attraction that must be seen. Guests look for many other area attractions including: Victoria Gardens, Ontario Mills, Empire Lakes Golf Course, Rancho Cucamonga Quakes, Bass Pro Shops Outdoor World, Joseph Filippi Winery and Vineyards, AMC Victoria Gardens and Ontario Mills. Victoria Gardens has more than 100 fashion and specialty stores. Apple store can be found at this location. The Ontario International Airport (ONT) is just four miles from the hotel. A complimentary shuttle service is also available to hotel guests. Free high-speed Internet access, microwave, refrigerator and cable television are available in each comfortably appointed room. A complimentary full breakfast is available each morning from 6:00 AM until 10:00 AM. Additional hotel amenities include an exercise facility complete with a 37-inch Plasma TV for your entertainment while working out. 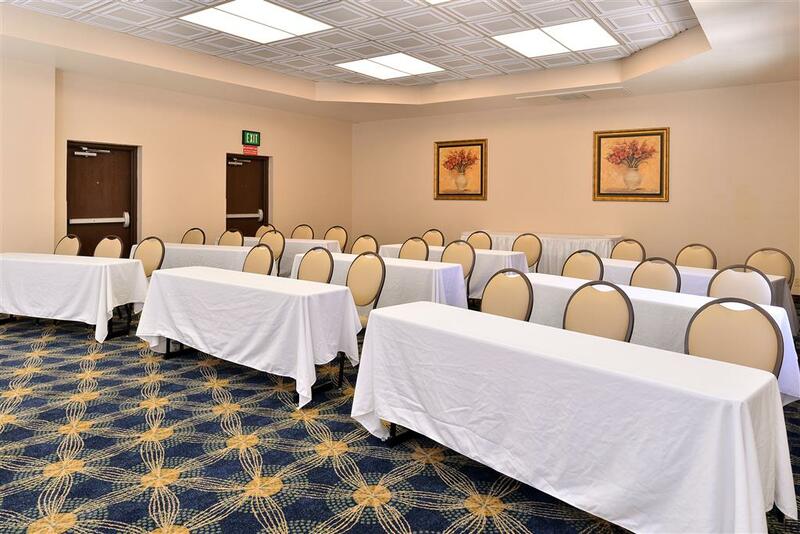 Meeting and banquet facilities are available for your business function, family party or your organization events. For superior guest service and a central location in Rancho Cucamonga, make a reservation today at the Best Western Plus Heritage Inn Rancho Cucamonga/Ontario! Hot tub - Hot tub Pool entrance is accessible. ADA approved pool lift. Pool - Outdoor pool, entrance is accessible. ADA approved pool lift. From: Interstate 15. Take Foothill Boulevard Exit West (Historic Route 66) turn left on Spruce Avenue. The Best Western Plus Heritage Inn Rancho Cucamonga/Ontario is just ahead. From: Interstate 10. Take Haven Avenue Exit North, turn right on Foothill Boulevard (Historic Route 66) and travel for two blocks, turn right on Spruce Avenue. The Best Western Plus Heritage Inn Rancho Cucamonga/Ontario is just ahead. From: Interstate 210. Take Haven Avenue Exit South, turn left on Foothill Boulevard (Historic Route 66) and travel for two blocks, turn right on Spruce Avenue. The Best Western Plus Heritage Inn Rancho Cucamonga/Ontario is just ahead. Ontario Mills Outlet Mall,3.00 mile(s) from Ontario Mills Outlet Mall, California's largest outlet and value retail shopping destination, is an indoor climate-controlled mall providing the ultimate shopping experience. Victoria Gardens,3.00 mile(s) from Victoria Gardens, pedestrian-oriented, open-air, shoppping mall with plenty of shops and fine dinings to choose from! Ex: Macy's, Apple, Abercrombie & Fitch, and many more! Honda Center,35.00 mile(s) from Honda Center, hockey, convert, and event venue. Home of the Anaheim Ducks Hockey Team. Disneyland ,35.00 mile(s) from Disneyland , visit the original theme park and celebrate the worlds of yesterday, fantasy and tomorrow with timeless attractions, dazzling entertainment and magical moments that last a lifetime. San Manuel Indian Bingo & Casino,25.00 mile(s) from San Manuel Indian Bingo & Casino, Southern California's place for fun. Open 24/7. Must be 21 or over. Auto Club Speedway,4.00 mile(s) from Auto Club Speedway, Southern California's home for NASCAR , AMA Pro Superbike, NHRA drag racing, and much more!